From its Pre-Collision System to its moonroof and 5-Star Safety Rating from the NHTSA, the Toyota Camry is a captivating vehicle that delivers! 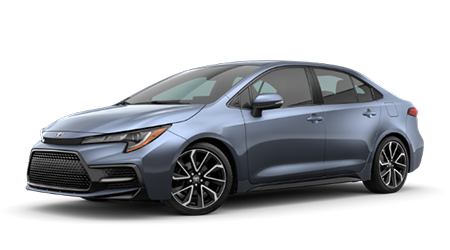 Don't miss your chance to secure a Lane Departure Alert, connected navigation, Multi-Information Display-equipped vehicle, find a Toyota Corolla today! From crowded downtown streets to open backroads, the Toyota RAV4 stands up to all your on-road demands, thanks to Toyota Safety Sense™ P that comes standard! 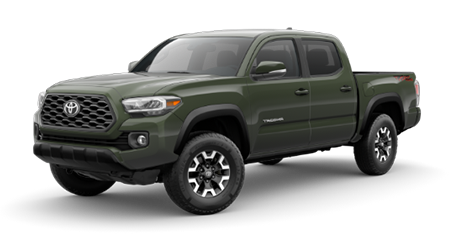 The Toyota Tacoma caters to not only your towing needs but your entertainment and comfort wants, so test drive one of these V6 engine-equipped trucks today! Whether you're shopping for new cars for sale, are looking to acquire genuine Toyota parts or are interested in trading up to an eye-catching RAV4, Ken Ganley Toyota is here for you! As your trusted local Toyota dealer, we're proud to offer an array of Toyota dealer services to put to use and boast transparent pricing in a stress-free atmosphere. When it's time to handle an automotive need, it's time to visit our new and used Toyota dealership in Pleasant Hills, Pennsylvania! Visit our Toyota dealership near Pittsburgh, PA to team up with our professional sales department. We're up-to-date on all that the Toyota lineup has to offer and can introduce you to family-friendly Camry options or rugged Tacoma trucks while our finance center explores the loan opportunities you can put to use! For Toyota drivers that are looking to keep their Corolla running smoothly, we feature an on-site service department that will gladly cater to the maintenance and repair needs of your new or pre-owned vehicle. Reach out to Ken Ganley Toyota to learn more about the ways we can be of service, or explore all the informative resources we have to offer like Ganley Insurance Service and other services right here on our website or call us to (412) 469-3000! Why Buy at Ken Ganley Toyota? Ken Ganley Toyota is here to assist with your new car needs, so don't hesitate to contact our dealership in Pleasant Hills, Pennsylvania about the new Toyota models we have for sale! Thanks to the array of innovative sedans, trucks and SUVs that are included in Toyota lineup, there's a competitively priced vehicle in stock for you. Visit us for a Toyota Highlander test drive and be sure to ask the ToyotaCare plan that comes with your new purchase and which options are equipped with Toyota Safety Sense™! When you visit Ken Ganley Toyota for auto care, you can rest assured your needs will be well provided for! 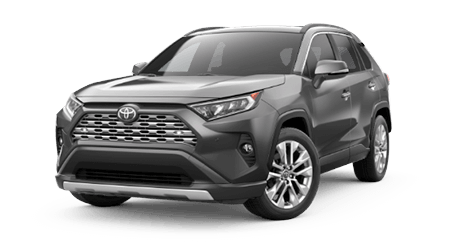 Our Toyota Dealer finance center encourages all drivers in the Bethel Park, PA area to submit a credit application online to our dealership before visiting us for a Toyota 4Runner test drive. Whether you enjoy a healthy credit score, are in a sub-prime credit situation or have yet to establish credit, we have a competitive loan option for you! Before getting started with work on your Toyota Tacoma at home, be sure to drop by our dealership's parts center! We keep a multitude of components in stock so that all drivers can complete work in accordance with their manufacturer's specifications. If you're a driver in nearby Pittsburgh or Monroeville, PA that would like to acquire Original Equipment Manufacturer items, complete a Toyota parts order form online now! We'll be in touch as soon as your request has been fulfilled. If you're a motorist in the Monroeville, PA area that is shopping for used cars for sale, our Toyota car dealership is here for you! We boast a number of used Toyota models that are sure to not only meet but exceed your expectations, as well as options from other reputable brands so that you can find the ride that complements your lifestyle with ease. For added peace of mind, our team invites you to check out the Certified Pre-Owned Toyota vehicles we have in stock as well! With help from our new and used dealership's service department in Pleasant Hills, PA, drivers can keep their vehicle not only running smoothly but up to its factory specifications! Feel free to check out our current service specials before using our interactive website to request a Toyota service. Thanks to the variety of professional certifications our technicians hold, Ken Ganley Toyota is able to assist with the maintenance and repair needs of all drivers in the Pittsburgh area! You don't need to be in the immediate Pleasant Hills, Pennsylvania area to take advantage of all that Ken Ganley Toyota has to offer; simply use our website to explore our resources today. You can learn more about the latest Toyota Camry to hit the market, can value your trade-in or can get in touch with our dealership if there is a specific auto concern you'd like addressed! The Ken Ganley Toyota team looks forward to speaking with you soon.